1001 Plum Valley Lane • Highlands Ranch, CO 80129 Sales: (720) 496-4597 Service: (720) 496-4566 Parts: (720) 496-4371 Chat Live! 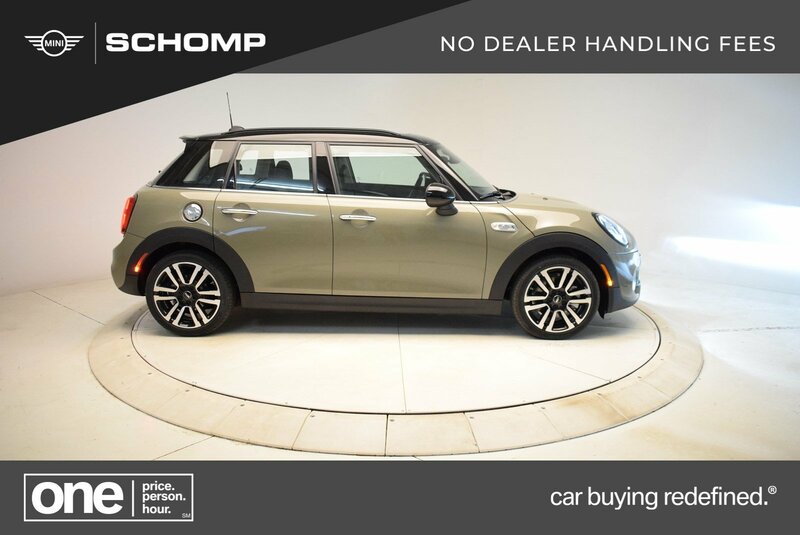 Moonroof, Heated Seats, Onboard Communications System, SIGNATURE LINE PACKAGE, UNIVERSAL GARAGE-DOOR OPENER, PREMIUM PACKAGE. EPA 32 MPG Hwy/23 MPG City! 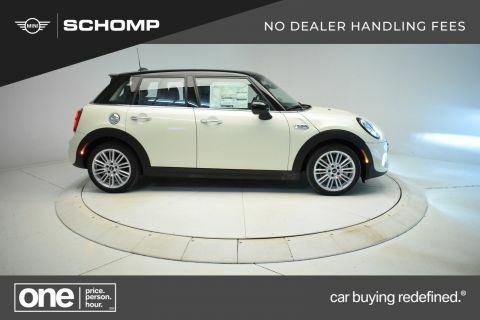 Cooper S trim, Emerald Grey Metallic exterior and Carbon Black interior CLICK NOW! Back-Up Camera, Turbocharged, iPod/MP3 Input, Onboard Communications System. Rear Spoiler, MP3 Player, Steering Wheel Controls, Child Safety Locks, Electronic Stability Control. 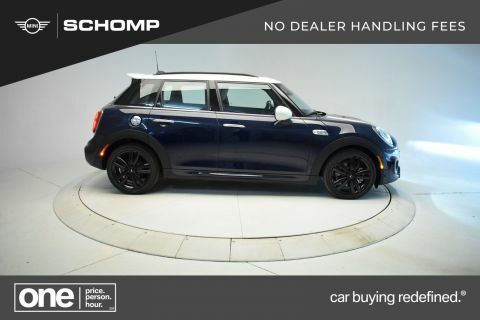 SIGNATURE LINE PACKAGE Transmission: Sport Automatic, Heated Front Seats, JCW Leather Steering Wheel, Automatic Climate Control, Active Driving Assistant, All-Season Tires, Panoramic Moonroof, Piano Black Interior Surface, Wheels: 17 x 7.0 Tentacle Spoke Silver Alloy Style 500, Tires: 205/45R17, Comfort Access Keyless Entry, PREMIUM PACKAGE Wheels: 17 x 7.0 Rail Spoke 2-Tone Alloy Style 999, Tires: 205/45R17, harman/kardon Premium Sound System, Auto-Dimming Interior & Exterior Mirrors, LED Fog Lights, Piano Black Exterior, LED Headlights w/Cornering Lights, Power-Folding Mirrors, SiriusXM Satellite Radio, 1 year All Access subscription, UNIVERSAL GARAGE-DOOR OPENER Auto-Dimming Interior & Exterior Mirrors. 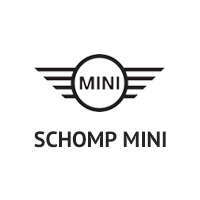 Schomp MINI is loved by everyone except the competition because of their One Price, One Promise guarantee which sets this Denver MINI Cooper dealer apart from the rest by having the absolute best price posted on all vehicles. 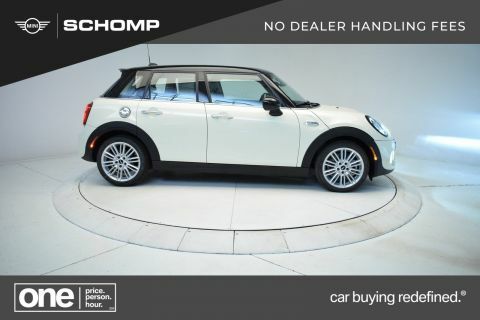 Whether you're looking for a Colorado Springs Mini Cooper, Boulder Mini Cooper, Grand Junction Mini Cooper or Castle Rock Mini Cooper, Shoppers looking for the best Colorado Mini Coopers visit Schomp Automotive! New vehicle pricing includes all offers and incentives. Tax, Title and Tags not included in vehicle prices shown and must be paid by the purchaser. While great effort is made to ensure the accuracy of the information on this site, errors do occur so please verify information with a customer service rep. This is easily done by calling us at (720) 496-4597 or by visiting us at the dealership.